WASHINGTON, D.C. — U.S. Sen. Ed Markey introduced legislation today that repeals a provision of the just-passed budget bill that could weaken current rules protecting consumers from robocalls on their cell phones. If the budget bill provision is allowed to go into effect, millions of Americans could be subjected to more unwanted calls, according to Consumers Union, the policy and advocacy division of Consumer Reports. U.S. Sens. Claire McCaskill, Ron Wyden, Robert Menendez, Richard Blumenthal, Patrick Leahy, Elizabeth Warren, Bernie Sanders, Al Franken, Amy Klobuchar, and Tammy Baldwin have cosponsored this bill. The Telephone Consumer Protection Act prohibits most non-emergency robocalls to cell phones without a consumer’s prior consent. But Section 301 of the budget bill allows debt collectors to make robocalls and robotexts to Americans with education, mortgage, tax, and other debt owed to or backed by the federal government. To make matters worse, the provision allows robocalls not only to those who owe debt but also their family, references, and even those who get assigned a phone number that once belonged to someone who owed debt. Senator Markey’s Help Americans Never Get Unwanted Phone calls (HANGUP) Act rescinds the enactment of Section 301 in the budget bill. 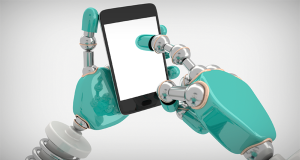 Debt collectors sought a similar exception to the law earlier this year when they petitioned the Federal Communications Commission to allow robocalls to cell phones. Consumers Union and other consumer groups opposed the debt collectors’ effort, which was rejected by the FCC. Consumers Union’s End Robocalls campaign is working to bring relief to consumers from unwanted calls that have become rampant in recent years. The campaign has called on the top phone companies to provide free, effective tools to their customers to block unwanted calls.